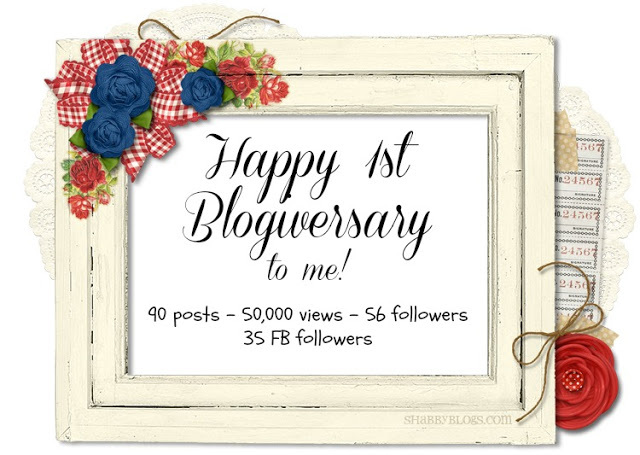 Today is September 20th and it’s my Blogiversary! Last year I started The Petite Sewist as a way to document my sewing adventures, give petite advice and craft projects. I’ve also loved creating tutorials to share as a guest blogger and making friends with all of you. Thank you for reading my ramblings and for your wonderful comments. It’s been so much fun learning together. I know I’m not as ambitious as some of the career bloggers out there, but I’m happy to say this blog is exactly what I wanted it to be: a fun creative outlet. In celebration of The Petite Sewist being around for an entire year, I’ve decided to have my very first giveaway! 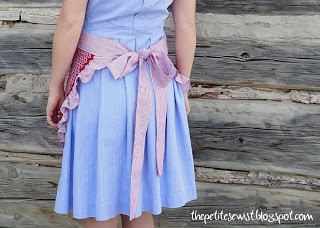 Remember my Roses are Red Apron Tutorial? 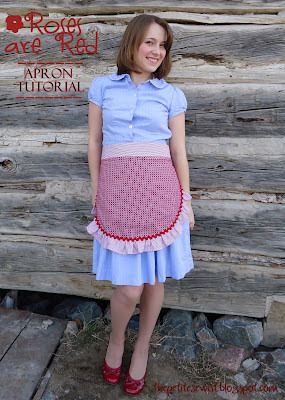 I am giving away this cute half-apron (size S-M). To win, you must be a follower of The Petite Sewist and you must comment below on your favorite of one of my projects or tutorials (you can find a list under my header). To gain another entry, become a follower of my Facebook page and comment below saying that you are a follower. 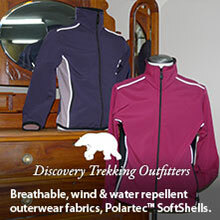 To gain a third entry, post a link to this giveaway on your site and leave a comment with the URL. 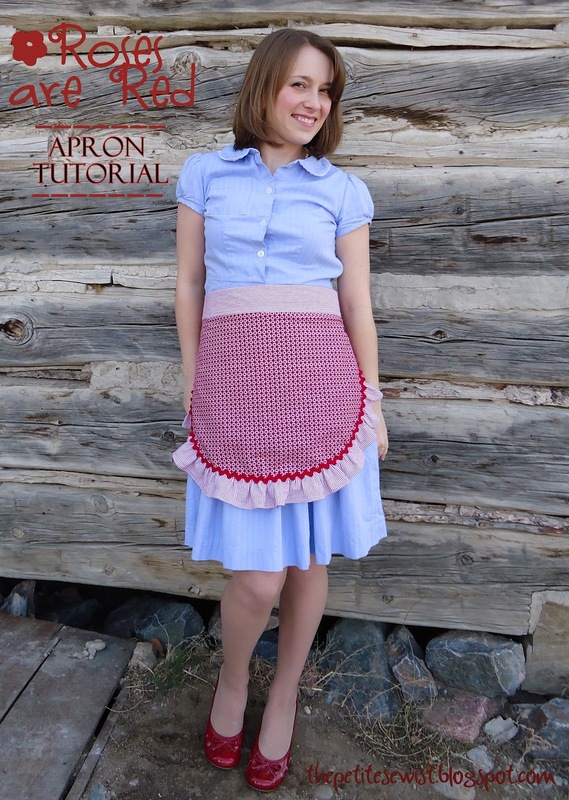 You must leave me a way to contact you via email in order for me to ship the apron to you. I will ship to the U.S. and Canada only. I will use a random number generator and announce the winner on Saturday, September 29th. Congratulations on one year! My favorite post wasn't really a 'project', but it helped me immensely: how to sew a rolled hem. 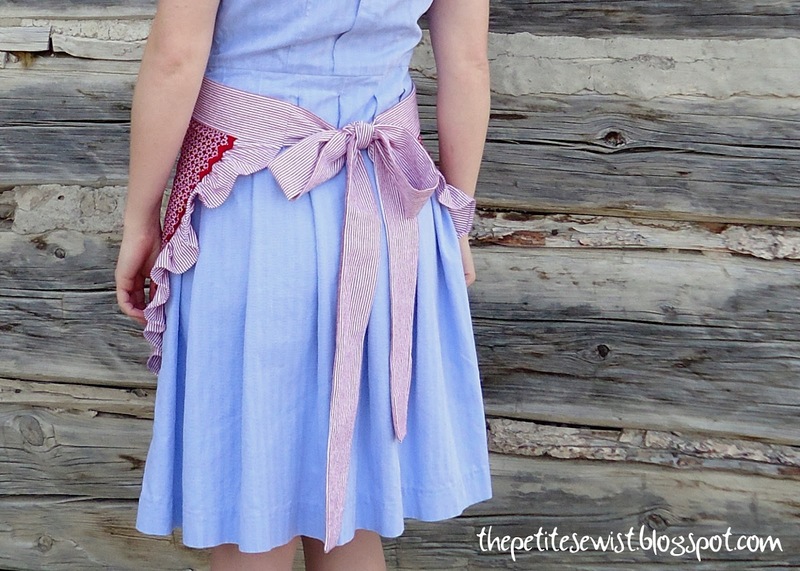 So simple and it changed how I sew! Thanks for all the great posts and I hope you keep it up for many more years! Hey! I like the t-rex pillow! Very fun! HA HA! Hey- check out my cooking website… I put you as the inspiration!